The Wi-Fi Alliance this week introduced a new generational naming format that effectively rebrands iterations of the 802.11 standard. 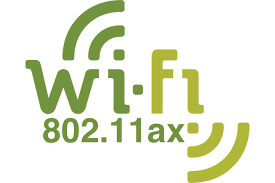 Wi-Fi 6 refers to the 802.11ax standard; Wi-Fi 5 designates 802.11ac; and Wi-Fi 4 equates to 802.11n. Wi-Fi Alliance President and CEO Edgar Figueroa characterized the branding refresh as meant to be more consumer friendly than the IEEE designations. "For nearly two decades, Wi-Fi users have had to sort through technical naming conventions to determine if their devices support the latest Wi-Fi. Wi-Fi Alliance is excited to introduce Wi-Fi 6, and present a new naming scheme to help industry and Wi-Fi users easily understand the Wi-Fi generation supported by their device or connection."